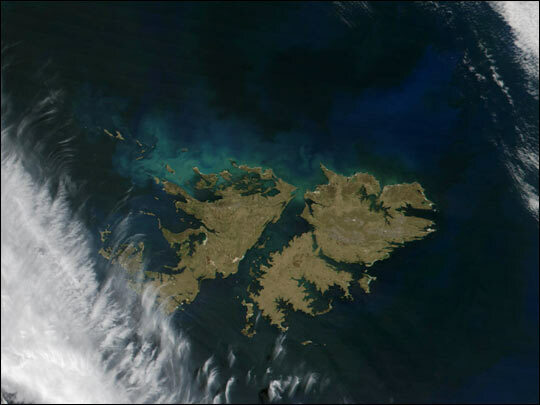 Located in the southern Atlantic Ocean off the coast of southern Argentina, the Falkland Islands are a territory of the United Kingdom, and are comprised of more than 200 islands. 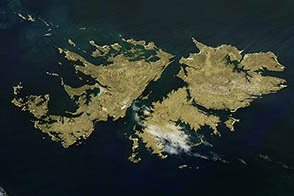 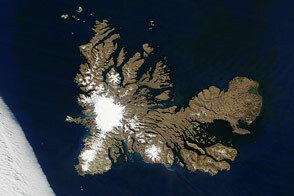 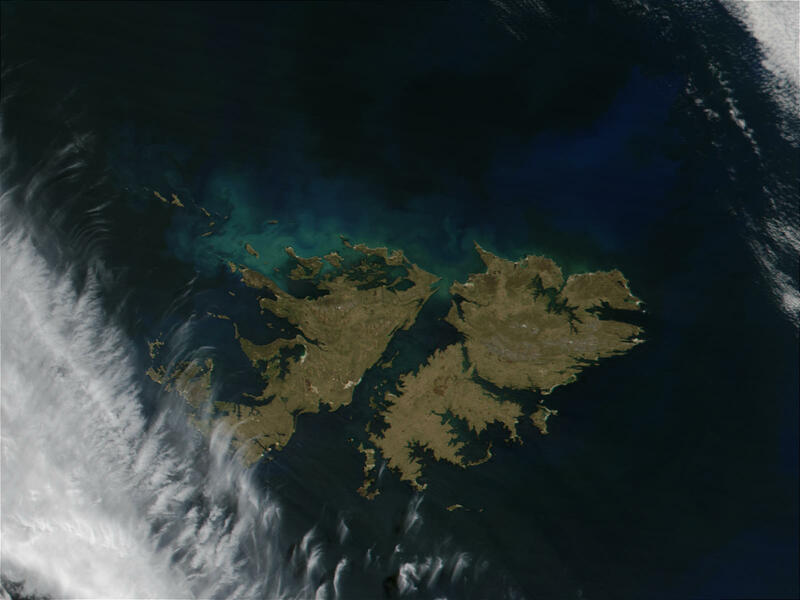 Shown here in a true-color image acquired by the Moderate Resolution Imaging Spectroradiometer (MODIS) on October 20, 2001, West and East Falkland, left to right respectively, are by far the two largest islands of this archipelago. 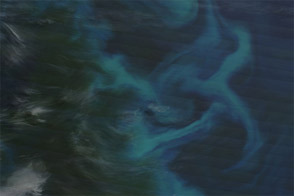 Also visible is a large phytoplankton bloom that is marked by the blue-green swirls off the northern coast of West Falkland.